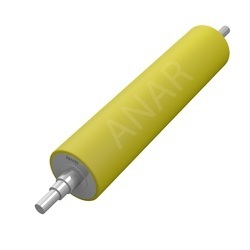 Leading Manufacturer of pu roller, pinch rollers and polyurethane rubber roller from Ahmedabad. Anar offering quality PU Rolls which have wide application such are following. PU Rollers For Welding Rotator: P U rollers for welding rotator, that are known for their high load bearing capacity, wear resistance and excellent performance.Rollers For Sheet Metal Industry :We manufacture a durable range of rollers, that are specifically designed for sheet metal industry. These rollers are made from quality raw materials and known for their high performance, reliability and load bearing capability. Quality tested as per international norms, our range can also be customized as per the requirements of clients.Support Rollers : We are engaged in manufacturing a range of support rollers, that are used as an important component in conveyors, elevators, rollers etc. Designed with precision, these rollers are known for their application specific design, sturdy construction and better durability standards. Our range of rollers are available in different sizes and specifications to meet the diverse requirements of clients. 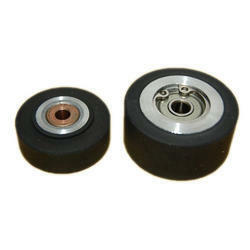 We are one of the uprising manufacture and exporter of a wide range of PU Rollers for Welding Rotator to our clients. Pinch Rollers are one of the best products that we are manufacturing all across the nations for the convenience of our clients.